A Clayton County man has been charged with misusing 911. The Clayton County Sheriff’s Office says a 911 call came in early in the morning on November 18th with the person on the phone making vulgar and inappropriate sexual comments to 911 dispatchers. 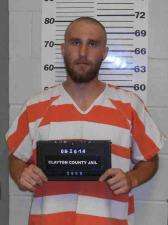 Authorities say the call came from a cell phone in the area of the Dam Sports Bar in Guttenberg, and after a search on the phone number, they identified the phone’s owner as 26-year old Trevor Kelly of Guttenberg. Kelly was arrested and taken to the Clayton County Jail, where he was charged with Public Intoxication (Second Offense). More people could face charges with misusing 911 as the incident remains under investigation.